But the comet is totally still coming, right? Epic Games has a ton of frenzied Fortnite: Battle Royale players on their hands, and because the rumor about a comet destroying Tilted Towers hasn’t come true just yet, they went ahead and leveled the city themselves with pickaxes. A long-running fan theory posits that an in-game event will destroy Tilted Towers after a comet impact, and there’s tons of legitimate evidence that seemingly proves it. 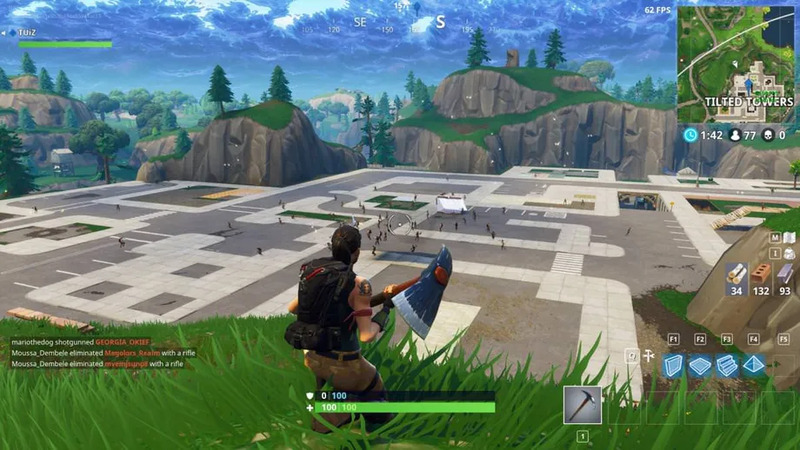 Maybe it was out of impatience, or maybe just out of good-natured zealotry for some change in Fortnite, but last week YouTuber EverydaY_AussiE published a lengthy video of an organized fan event that utterly destroyed Tilted Towers. Judging from the longer video, leveling Tilted Towers took only three and a half minutes. Then they built a bizarre structure of those pyramids with a dance floor at the middle. The inevitable dance party erupted — because this is Fortnite after all. Occasional gunfire cut the party short for several players, along with a few mysterious explosions. The real enemy hilariously turned out to be the storm, which swept in to kill everyone bold enough to stay in Tilted Towers. This in-game event happened when conspiracy theories about the comet hitting Tilted Towers hit a fever pitch on April 18, when someone on Reddit dubbed it a “Tilted Towers Wake Ceremony.” As it turns out, Tilted Towers is still very much alive a week later, but plenty of people think the Fortnite city might still get destroyed by the end of Season 3 on April 30. For the time being, players destroying Tilted Towers themselves might have been the coolest thing that Fortnite fans have done since the game skyrocketed in popularity. Who knows what Season 4 has in store, but with less than a week lest in Season 3, we’re bound to learn soon enough.